This name uses Portuguese naming customs. The first or maternal family name is Souza and the second or paternal family name is Faria. Romário de Souza Faria (born 29 January 1966), known simply as Romário (Brazilian Portuguese: [ʁoˈmaɾiu]), is a Brazilian politician who previously achieved worldwide fame as a professional footballer. A prolific striker renowned for his clinical finishing, he is regarded as one of the greatest players of all time. Romário starred for Brazil in their 1994 FIFA World Cup success, receiving the FIFA Golden Ball as player of the tournament. He was named FIFA World Player of the Year the same year. He came fifth in the FIFA Player of the Century internet poll in 1999, was elected to the FIFA World Cup Dream Team in 2002, and was named in the FIFA 100 list of the world's greatest living players in 2004. At club level, after developing his early career in Brazil, Romário moved to PSV Eindhoven in the Netherlands in 1988. During his five seasons at PSV the club became Eredivisie champions three times, and he scored a total of 165 goals in 167 games. In 1993, he moved to FC Barcelona and became part of Johan Cruyff's "Dream Team", forming an exceptional strike partnership with Hristo Stoichkov. 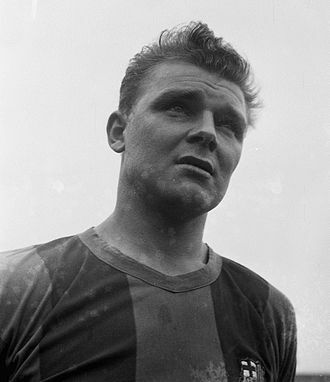 He won La Liga in his first season and finished top goalscorer with 30 goals in 33 matches. During the second half of his career Romário played for clubs within the city of Rio de Janeiro in Brazil. He won the Brazilian league title with CR Vasco da Gama in 2000 and was a three-time top scorer in the league. 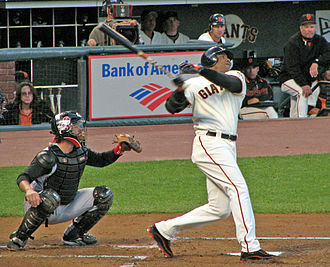 At the end of his career he also played briefly in Qatar, the United States and Australia. Considered a master of the confined space of the penalty area, his rapid speed over short distances (aided by his low centre of gravity) took him away from defenders, and he was renowned for his trademark toe-poke finish. With 55 goals in 70 appearances for Brazil, Romário is the fourth-highest goalscorer for his national team, behind Pelé, Ronaldo and Neymar. He is second on the all-time list of Brazilian league's top scorers with 154 goals. While finishing as a top goalscorer in many different competitions, he is one of very few strikers to surpass the mark of 1,000 goals, and is the second-most prolific goalscorer in the history of football. From very humble origins, Romário was spotted in childhood when playing for Olaria, a small club from the Rio de Janeiro suburb. He was taken to the junior team of Vasco da Gama where he won two state leagues (1987/88) and earned his first call-ups to the national team. Romário came to international attention when he became the top scorer at the 1988 Olympic football tournament. Romário training with PSV in 1989. Shortly after the Olympics he moved to PSV Eindhoven, where he won the Eredivisie in 1989, 1991 and 1992. Renowned for his ability to operate in the confined space of the penalty box, Romário scored 165 goals in 167 games in five seasons at PSV. Driven by an unswerving belief in his abilities, Romário's laid back manner and overwhelming self-confidence would be displayed throughout his career, with Guus Hiddink, his coach at PSV, stating, "If he saw that I was a bit more nervous than usual ahead of a big game, he’d come to me and say: ‘Take it easy, coach, I’m going to score and we’re going to win'. What's incredible is that eight out of the ten times he told me that, he really did score and we really did win." Romário moved to Spain's FC Barcelona for the 1993–94 season and became part of Johan Cruyff's "Dream Team", in which, along with players such as strike partner Hristo Stoichkov, midfielders José Mari Bakero, Pep Guardiola and Michael Laudrup, and prolific goalscoring defender Ronald Koeman, he helped the club win the La Liga title, while becoming the season's top goalscorer with 30 goals in 33 matches. 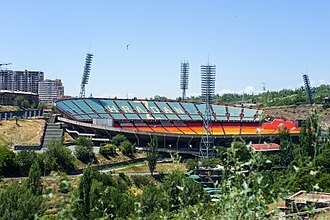 Barcelona also reached the 1994 UEFA Champions League Final, where in spite of being heavy favourites to win, they eventually lost 0–4 to Milan. The buildup to the final saw Spanish newspapers already declaring Barcelona as winners, while Cruyff told his team, "You're better than them, you're going to win". With Romário and Stoichkov leading the Barcelona attack, Milan defender Paolo Maldini conceded his team were underdogs, but they were spurred on by what they perceived as arrogance from Barcelona. One member of the Barcelona back room staff admitted Barcelona were complacent, "We went there to collect the cup, not to compete for it." "It has to be Romário. You never knew what to expect with him. His technique was outstanding, and he scored goals from every possible position, most of them with his toe, funnily enough." — Johan Cruyff when asked to name the greatest player he ever coached. One of Romário's best performances was scoring a hat-trick in the memorable 5–0 win over Real Madrid in the El Clásico at the Camp Nou, with the spectacular opening goal seeing him drag the ball around the defender without it leaving his foot before finishing with a trademark toe-poke into the corner of the net. His highlight for Barcelona in the UEFA Champions League came in the two games against Manchester United where he nutmegged Peter Schmeichel to score at Old Trafford, and scored again in the 4–0 win at the Camp Nou in front of 114,000 fans. Reflecting on the game at the Camp Nou, Manchester United captain Steve Bruce, who played in defence that night, states: "Of all the great things that happened during my career, the thing that sticks out the most is that night because we got our backsides kicked big-style. Stoichkov and Romário are still etched in my memory, especially Romário, who was arguably the best player I ever faced." Romário was named FIFA World Player of the Year in 1994, after being the runner-up in 1993. Although he was lauded for his performances, Romário was prone to controversy, and in 1994 he landed a left hook to Sevilla's Diego Simeone and was suspended for five games. Romário left Barcelona unexpectedly in January 1995 after having a rift with coach Cruyff. "When I was born, the man in the sky pointed to me and said, ‘That's the guy’. — Romário on his ability. In 1995, Romário returned to Brazil to play for Flamengo and spent five years there excluding two short-lasting comebacks to Spain during that period. During a Copa Libertadores match against an Argentine team in 1995, Romário kicked an opposition defender on the chest in retaliation for a punch on his teammate Edmundo. He began the 1996–97 season with the Spanish club Valencia but after having heated arguments with then head coach Luis Aragonés he was soon loaned back to Flamengo. Romário returned to Valencia at the beginning of 1997–98 season. With their new coach Claudio Ranieri claiming that he did not want to have any players staying in the club against their will, Romário, stating needs of good preparation for the World Cup in France, left Valencia for good after playing just six league matches in the season. Once again he returned to Flamengo. Romário rejoined Vasco da Gama in 2000 and linked up again with fellow international striker Edmundo. Forming a prolific partnership, the two forwards led Vasco to the final of the 2000 FIFA Club World Championship, with Romário finishing as joint-top goalscorer with three goals. The most notable performance from the pair was a 3–1 defeat of European champions Manchester United at the Estádio do Maracanã, where Romário scored twice in three first-half minutes and Edmundo added a third before half time. Having previously got on well together at Flamengo, the volatile Edmundo became jealous of Romário's privileges, stating the club was "a court, Romário the prince and [club chairman] Eurico Mirando the king". After Vasco's victory a few days later, Romário replied: "Now the court is happy: the king, the prince and the fool [Edmundo]". At 34 years of age, Romário had one of the best seasons in his career while winning the Copa Mercosur and the Brazilian league title with Vasco. Romário's performance was key in the Mercosur final where Vasco faced Brazilian rivals Palmeiras from São Paulo. After splitting the first two matches, a decisive third took place in São Paulo. Palmeiras took a 3–0 lead before half-time. In the second half however, Vasco scored four goals including Romário's winner in the stoppage time, which completed his hat-trick. Romário received both the South American and Brazilian Footballer of the Year awards. He finished both the 2000 and 2001 seasons as the Brazilian league's top goalscorer. From 2002 until 2004, he played for Fluminense. In February 2003, Romário signed a lucrative three-month contract in Qatar with a club Al Sadd but after a disappointing stint without scoring a goal he returned to Fluminense. On 21 October 2004 he was fired from the club after a conflict with the coach. He also attacked a fan who had thrown six live chickens at him during training. Romário then went back once again to play for the team he started at, Vasco da Gama. In 2005, at 39 years of age, Romário scored 22 goals in the Brazilian Championship, making him the league's top goalscorer for the third time. Seen as a publicity coup of the A-League's short history, Romário was signed by AUFC Board member Mel Patzwald to the Australian A-League club Adelaide United FC for a 5-game guest stint. He played his first match for Adelaide United FC on 25 November 2006 against the Central Coast Mariners FC. During his final game on 15 December 2006 he finally scored a goal for Adelaide to end what many considered to be a disappointing spell with the club. In January 2007 he signed a new deal with Vasco da Gama. On 20 May 2007, Romário scored his 1000th goal, a penalty kick against Sport Recife, playing for Vasco da Gama. The Brazilian press claimed him as one of few players in professional football history to achieve this, like Pelé and Puskás. The 1000th goal drew much attention from both Brazilian and international press, with the game being stopped for over 20 minutes to allow for celebrations from his fans. There is some controversy over the validity of the 1000 goals, because the number is somewhat inaccurate and Romário's research team also counted his goals in junior, friendly and non-official games. FIFA congratulated Romário on his milestone goal but stated he is still officially on 929 goals, as 77 came in youth football, with others being scored in friendly matches. In 2008, Romário released a DVD with the best goals of his career totaling 900 goals in the disc. Following the landmark goal, Vasco da Gama unveiled a statue of Romário at the Estádio São Januário. On 24 October 2007, it was announced that Romário would take charge of his first match as the interim manager of Vasco da Gama against Club América of Mexico in the return leg of their Copa Sudamericana quarter final and he would also participate on the field as a player. Romário, then 41 years of age, replaced Celso Roth as the manager of Vasco da Gama, and also played the match against Club América at the same time. The Vasco da Gama president Eurico Miranda declared to Globo Online that Romário would be in charge of the team for the match, but it is likely to only be temporarily. On 6 February 2008 Romário objected to Miranda's intervention in team selection, so was dismissed, but remained contracted to Vasco as a player. On 4 December 2007, Romário announced he had tested positive for finasteride (aka Propecia) after a match against Palmeiras on 28 October. He claims it was in an anti-baldness treatment; however, the drug is banned as it is a masking agent for anabolic steroids. On 5 February 2008, Romário announced his retirement both from playing and coaching, effective at the end of March. 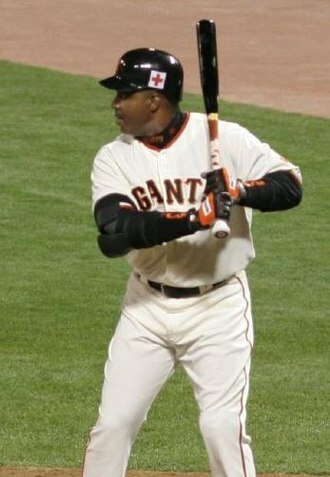 This move came somewhat unexpectedly, as fans anticipated that he would retire from playing, but not coaching. He made it clear that he will only concentrate on the FIFA Confederations Cup and helping with the 2014 FIFA World Cup. However, on 27 March, Romário denied that he had retired. In August 2009, Romário announced that he would come out of retirement to play for America from Rio de Janeiro. He stated that he would play for the club to fulfill his father's wishes. On 25 November 2009, Romário made his comeback. He came on during the 68th minute of the match between America and Artsul, replacing Adriano. Although he didn't score, America won 2–0, which helped the club to win the title of the Second Division of the Carioca Championship. As a member of the Brazilian national team, Romário won the silver Olympic medal in Seoul in 1988, finishing as the top-goalscorer with seven goals in six matches. He attained the status of national hero at the 1989 Copa América as he scored the only goal in the final against Uruguay to end Brazil's long trophy drought in front of their own fans at the Maracanã. He was part of the Brazilian squad in the World Cups of 1990 and 1994. He scored 71 goals in 85 international matches (including senior and Olympic teams), being the fourth-highest goalscorer in the history of the Brazilian team. Romário was one of the most talked about stars leading up to the 1990 World Cup in Italy, but picked up a serious injury three months before the big kick-off. Despite doing everything to recover in time and being rewarded with a spot in the squad, his lack of fitness meant he was restricted to playing only 66 minutes in one match, against Scotland. Brazil were eliminated in round of 16 by their rivals Argentina. In 1992, during Romário's successful season at PSV Eindhoven, he was called up to the national team for a friendly match against Germany on 16 December 1992 in Porto Alegre – Rio Grande do Sul, Brazil. Coach Carlos Alberto Parreira left Romário as a reserve, after which he expressed his dissatisfaction, saying he would not have come over from Netherlands if he had known he was not going to play. These declarations caused Parreira to ban Romário from the Brazilian team. Brazil played the first seven matches of the 1994 World Cup qualification without Romário, and suffered their first loss ever in World Cup qualifying against Bolivia. His exclusion provoked a wave of outrage, with journalists and fans calling for his return to the team. Brazil had to beat or tie against Uruguay at the Maracanã Stadium to finish first of their group. Before the match against Uruguay, Parreira gave up and called Romário. Back in his beloved number 11 jersey, prior to the game Romário stated: "I already know what is going to happen: I'm going to finish Uruguay". Brazil won 2–0, with Romário scoring both goals, and qualified for the World Cup. Parreira commented afterwards: "God sent Romário to the Maracanã". "They are both skillful players, outstanding players. They are matadors, killers inside the penalty area." —Brazil coach at USA '94 Carlos Alberto Parreira on Romário and Bebeto. At the 1994 World Cup held in the United States, Romário partnered Bebeto in attack to lead his country to a record fourth World Cup title. Romário scored five goals in the tournament: one in each of the three first round matches, against Russia, Cameroon, and a trademark toe-poke finish against Sweden. He scored one against the Netherlands in the quarterfinals; and the game-winning header against Sweden in the semifinals. 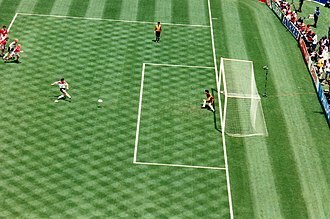 Romário also assisted Bebeto in the only goal of the match against the United States in San Francisco for the round of 16 elimination match. Although he didn't get on the scoresheet in the final in Los Angeles against Italy, a game played in searing heat which ended as a goalless draw, he converted Brazil's second penalty in the shoot-out, which ended in a 3–2 win for Brazil. Romário won the World Cup Golden Ball as the most valuable player of the tournament, and was named in the World Cup All-Star Team. Romário is also the last player to have won the Golden Ball and the World Cup in the same tournament. Described by Jere Longman of The New York Times as "short on humility, long on talent", Romário demanded a window seat on the team plane and refused to sit next to Bebeto. He did however join Bebeto in one of the most iconic images of the tournament. After Bebeto scored against the Netherlands in Dallas, his goal celebration generated headlines around the world when he began rocking an imaginary baby – his wife had given birth to their third child just days before – with Romário (and Mazinho) then joining Bebeto in the rocking motion. In the subsequent years, Romário formed, along with fellow Brazilian forward Ronaldo, a feared attacking combo, which was colloquially referred to as the Ro-Ro duo. The first title which the strikers won while playing together in the front line, was the 1997 Copa América in Bolivia where they scored a total of eight goals. Later on in December 1997 they each scored a hat-trick in a 6–0 win against Australia in the 1997 FIFA Confederations Cup final. Romário finished the tournament as the top-goalscorer with seven goals while Ronaldo added four. Just in 1997 the duo scored an impressive total of 34 international goals with 19 coming from Romário. The Ro-Ro attack was expected to headline the upcoming World Cup in France. Romário was left out of the 1998 World Cup squad. Medical exams had revealed that he had a muscular injury, and he received intensive treatment leading up to the tournament, but he did not recover completely and was dismissed the day of the deadline for the World Cup squad submissions. Just after the decision was announced, Romário held a press conference where he broke down in tears while saying that "this is very sad for me, a big disappointment. This is a very difficult moment in my life". Brazil lost the World Cup final against hosts France. Prior to the 2002 World Cup, Romário, aged 36, was in considerably good form while playing for Vasco da Gama, but once again he was left out of the national squad by coach Luiz Felipe Scolari due to indiscipline. The final incident happened when he pulled out of the Brazil squad for the 2001 Copa América in Colombia. He told Scolari that he was having an eye operation, but he played friendlies for club side Vasco da Gama in Mexico and went on holiday instead. The entire country, including President Fernando Henrique Cardoso, called for his inclusion, and Romário gave a televised news conference in which he made his case and apologised, bursting into tears three times, though he said he couldn't remember doing or saying anything against the manager and the players. The BBC's South American football correspondent, Tim Vickery, called Romário's news conference "bizarre" and reported that there were "increasingly credible rumours" that "senior players asked Scolari not to recall the veteran striker". Scolari was unmoved and did not pick him, saying before his squad announcement that Romário's exclusion was "technical and tactical". After the announcement, he said that it was as a result of Romário's withdrawing from the Copa América: "People forget the details, but I do not. I almost got fired from the national team after [the Copa América]." (Brazil had been beaten in the quarter-finals by Honduras.) Asked if he would watch Brazil's games on television, Romário, famous for late night partying throughout his career, replied: "The games start at six o'clock in the morning. At that time, I'm usually getting home." Without Romário, Brazil went on to win the World Cup for the fifth time. On 27 April 2005, Romário played his last game with the Brazilian national team in a friendly and celebratory match in São Paulo. He wore the captain's armband and scored the second goal in Brazil's 3–0 win against Guatemala. Following the end of his playing career with Brazil, Romário successfully campaigned for Brazil to be awarded host status for the 2014 FIFA World Cup. Since the 1990s Romário has been a footvolley enthusiast, playing with friends in various tournaments. In 2006, he won the VIP Footvolley.net Open in Miami Beach, USA; and was runner-up in the 2011 Footvolley World Championship in Rio de Janeiro. He also plays Beach soccer and represented Brazil (won the Bronze medal) at the 2005 FIFA Beach Soccer World Cup. "We're talking of one of the great centre-forwards. He's a master of the reduced space of the penalty area. A square metre for him is like an acre. Why? Low centre of gravity, powerful thighs so he can explode, wonderful finishing ability. Both because he's very proficient technically, but also because he's so cold in front of goal." — Tim Vickery, BBC football correspondent. Romário is regarded as one of the greatest and most prolific strikers of all time. His coach at Barcelona, Johan Cruyff, defined him as a "genius of the goal area", as well as the greatest player he ever coached. His Brazilian compatriot Ronaldo, who played with him in his early career, reflected, "Romário was the most decisive player who I played with, he was a great goal scorer, finisher, skillful, opportunist. I think I learnt all of that from him". Italian playmaker Roberto Baggio said "Romário is one of the greatest players of all time. He is a master of art in the penalty area," a view echoed by Paolo Maldini with, "Romário was incredible in the penalty area." Diego Maradona on who was the best player he ever saw play, "It is between Romário and Van Basten". Romário wore the number 11 shirt for most of his club and international career, which inspired Neymar's number at Santos (he also went on to wear number 11 for Barcelona). Along with two other FIFA World Player of the Year recipients, Brazilian compatriot Ronaldo and Liberian star George Weah, Romário was seen as a new breed of striker in the 1990s who would also operate outside the penalty area before running with the ball towards goal, with former France striker Thierry Henry stating; "Ronaldo together with Romário and George Weah, reinvented the centre-forward position. They were the first to drop from the penalty box to pick up the ball in midfield, switch to the flanks, attract and disorientate the central defenders with their runs, their accelerations, their dribbling." Nicknamed Baixinho (Portuguese for "The Little One," or "Shorty") Romário was an extremely agile player, who possessed excellent balance on the ball, and significant strength in spite of his small stature, which made him particularly effective in tight spaces in the penalty area, and allowed him to retain possession of the ball when put under pressure by larger players; his low centre of gravity and quick bursts of acceleration enabled him to outrun opponents over short distances and beat defenders with sudden turns or changes of pace, while his technique and finishing saw him score goals with powerful and accurate first-time strikes – notably toe-pokes with little back-lift. His ball control and dribbling skills saw him use elaborate feints, such as: dragging the ball around a defender without it leaving his foot, and the flip flap. While he could operate outside the penalty area in making runs from deep, Romário built a reputation as an extremely opportunistic "goal-poacher" inside the penalty area. He was known for his intelligence, offensive movement, and positional sense, as well as his ability to find space in the area and lose his markers by making late runs. In addition to his goalscoring, he was also known for his speed, as well as his creativity and vision, which gave him the ability to link-up with and provide assists for teammates. This enabled him to form many notable attacking partnerships with other prolific, technically gifted forwards, such as Stoichkov (at Barcelona), Edmundo (at Flamengo) and Bebeto and Ronaldo (with Brazil). In spite of his talent, however, Romário was also criticised for being too outspoken, and for his poor work-rate throughout his career, in particular for his vocal dislike of training. The Guardian states, "Romário has never been much of a committed athlete and has always had a rather laissez-faire approach to training. "The night was always my friend. When I go out, I am happy and when I am happy I score goals", he once summarised." Romário has appeared in commercials for the sportswear company Nike. In 1998, he starred in a Nike commercial set in an airport with a number of stars from the Brazil national team, including Ronaldo and Roberto Carlos. Romário features in EA Sports' FIFA video game series; he was included in the FIFA 14 Ultimate Team Legends. In the 2010 general election, Romário was elected to the Chamber of Deputies on the Brazilian Socialist Party ticket. He was the sixth most voted candidate for deputy in Rio de Janeiro. He pushed his political agenda against the 2014 FIFA World Cup in Brazil, denouncing the event as immersed in corruption and money laundering. He also expressed disagreement with Sean Kiley, Ricardo Teixeira, Jérôme Valcke and Sepp Blatter. He is one of various figures claiming that the holding of the 2018 FIFA World Cup was "stolen" from England and sold to Russia in a part of 2011 scandal by FIFA. On 19 February 2014, Romário announced that he would run for the Brazilian senate in the 2014 general election, and the decision was officially confirmed in June. 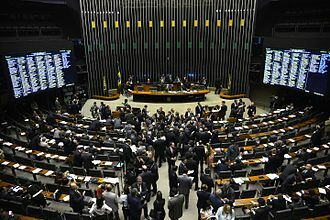 On 5 October, Romario was elected to the Brazilian senate with the most votes received ever by a candidate representing the state of Rio de Janeiro. In June 2017, Romário left the PSB and joined Podemos, becoming president of the party in the State of Rio de Janeiro. In March 2018, Romário announced he is to run for governor of Rio de Janeiro in the Brazilian general election and would stand as a candidate for the centrist Podemos party. Romário finished in fourth place, with 8.6% of valid votes. His son, Romarinho, also played for CR Vasco da Gama in Campeonato Brasileiro Série A. ^ Includes UEFA Super Cup (1988), Intercontinental Cup (1988), Dutch Super Cup (1991, 1992), Supercopa de España (1993), FIFA Club World Cup (2000). ^ Appearances and goals for Brazil National Team. RSSSF. Retrieved 12 July 2012. ^ "Pele's list of the greatest". BBC Sport. 4 March 2004. Retrieved 19 June 2014. ^ "FIFA Player of the Century" Archived 26 April 2012 at the Wayback Machine. FIFA. Retrieved 19 November 2013. ^ a b c d e f "Romario: From football rebel to politician". BBC. 15 May 2013. Retrieved 23 October 2015. ^ a b "Romário completes a famous 1,000". FIFA. 21 May 2007. ^ "Best Goalscorers All-Time (Official Matches)". RSSSF Archive. 25 September 2013. ^ a b c d e f g h i j k l m n o p q r s t u v w x y z "The one-off darling of '94". FIFA. ^ a b c "Barcelona v Milan revisited: The night in 1994 the Dream died". The Guardian. 15 March 2015. ^ a b "In praise of the toe-poke". FIFA. Retrieved 23 October 2018. ^ a b c d "Romario: to 1,000 goals and beyond". The Guardian. Retrieved 25 October 2018. ^ "Manchester United 1 – 3 Vasco da Gama". The Guardian. 9 January 2000. Retrieved 9 June 2014. ^ "Bleacher Report". Bleacher Report. Archived from the original on 19 March 2005. ^ "Romario still going strong at 40". FIFAworldcup.com. 1 February 2006. ^ "Romario notches 1,000 goal" Archived 27 May 2007 at the Wayback Machine. Sportsnet.ca. 20 May 2007. ^ "Romario nets 1000th goal of career" Archived 23 May 2007 at the Wayback Machine. CNN. 20 May 2007. ^ "Romário converts penalty for 1,000th goal"[permanent dead link]. Sports Illustrated. 20 May 2007. ^ "Imprensa internacional destaca milésimo gol de Romário" (in Portuguese). Folha Online. 20 May 2007. ^ "Romário 1.000 goals" (in Portuguese). Globo.com. 20 May 2007. ^ "Controversy on the road to 1,000". BBC News. 21 May 2007. ^ "Romario writes his own history". Daily Mail. 21 May 2007. ^ "Romario bags 1,000th career goal" Archived 27 May 2007 at the Wayback Machine. Miami Herald. 21 May 2007. ^ "Romário lança DVD e diz que Ronaldo está cheinho, mas vai esvaziar" (in Portuguese). Globo.com. 5 August 2008. ^ "Romario fails doping test, blames hair medicine". ESPN Soccernet. 5 December 2007. Retrieved 5 December 2007. ^ "Brazil legend Romario calls time on career". FourFourTwo. 15 April 2008. Archived from the original on 12 March 2012. Retrieved 15 April 2008. ^ "Brazil legend Romario ends career". BBC. 15 April 2008. Retrieved 15 April 2008. ^ "Brazil's Romario retires". Al Jazeera. 15 April 2008. ^ "Romario announces comeback". ESPN Soccernet. 13 August 2009. ^ "Brazil in the 1994 World Cup". 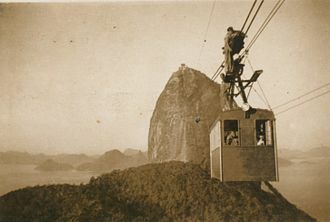 Virtual-Brazil.com. Retrieved 12 July 2012. ^ Match Report. FIFA. Retrieved 12 July 2012. ^ "Brazil in the 1998 World Cup". Virtual-Brazil.com. Retrieved 12 July 2012. ^ "SOCCER – WORLD CUP -- BRAZIL – An Injured Romario Is Dropped". NY Times. 3 June 1998. ^ "The mystery of Paris that refuses to go away". The Guardian. Retrieved 1 October 2018. ^ a b "Scolari on Romario snub". BBC News. Retrieved 27 June 2014. ^ a b "Romario's last chance". BBC News. Retrieved 27 June 2014. ^ Lawrence, Amy (29 June 2017). "Ronaldo's redemption: recalling the Brazil striker's World Cup fairytale 15 years on". The Guardian. Retrieved 30 August 2018. ^ "Ronaldo's Redemption: 2002 World Cup documentary". FourFourTwo. Retrieved 25 September 2018 – via YouTube. ^ FIFA Beach Soccer World Cup Rio de Janeiro 2005, FIFA. ^ a b John Brewin (8 April 2015). "World Cup All-time Top 20: No. 15 Romario". ESPN FC. Retrieved 23 October 2015. ^ "Biografia Calciatori da Leggenda: Romario" [Legendary footballers: Romario]. Calcio Magazine (in Italian). 12 June 2008. Retrieved 23 October 2015. ^ Jere Longman5 (5 June 1994). "WORLD CUP '94; Romario Is Short on Humility, Long on Talent". The New York Times. Retrieved 23 October 2015. ^ a b c Jack Rollin. "Romário". Encyclopædia Britannica. Retrieved 23 October 2015. ^ "Romario falls short in quest of 1,000th goal". HULIQ.com. 5 April 2007. ^ Roberto Baggio's world. Pro-Paul.net. 2001. ^ "Santos star Neymar: Romário inspired my number 11 shirt". Sambafoot. ^ a b Tim Vickery (2 April 2007). "Tim Vickery column". BBC Sport. Retrieved 2 August 2017. ^ "Neymar unveils his 'ultimate player'". CNN. 15 December 2016. Retrieved 2 July 2017. ^ a b "Brazil legend Romario ends career". BBC Sport. 15 April 2008. Retrieved 23 October 2015. ^ "Hristo Stoichkov: Perfect XI". Four Four Two. 12 March 2008. Retrieved 23 October 2015. ^ a b "Once teammates, Romario and Bebeto now bitter rivals on pitch of politics". The National. 22 May 2014. Retrieved 23 October 2015. ^ John Molinaro (9 June 2018). "History of the World Cup: 1994 – Coming to America". www.sportsnet.ca. Retrieved 9 July 2018. ^ "Romario: I've done it all". FIFA. 31 July 2007. Retrieved 23 October 2015. ^ "Bebeto: The ultimate moment". FIFA. Retrieved 23 October 2015. ^ Phil Hersh (13 July 1994). "Together, But Not Always In Harmony". The Chicago Tribune. Retrieved 23 October 2015. ^ a b Jackson, Steven J. 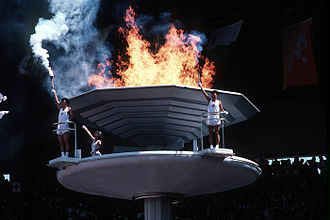 (10 November 2004). Sport, Culture and Advertising: Identities, Commodities and the Politics of Representation. Routledge. p. 186. ^ "Romário FIFA 14 Legends". futhead.com. Retrieved 7 April 2015. ^ "Romário" Archived 27 September 2010 at the Wayback Machine (in Portuguese). Romario4011.com. ^ "Sexto candidato a deputado federal mais votado do Rio, Romário rejeita paralelo com Tiririca" (in Portuguese). Globo.com. 4 October 2010. ^ "Romário chama Mundial de 2014 de ‘Copa da mentira’ e alfineta Ronaldo" (in Portuguese). Globo.com. 11 April 2012. ^ "Romário diz que Copa de 2014 será o 'maior roubo da história'" (in Portuguese). Globo.com. 18 March 2012. ^ "Romário detona Ricardo Teixeira e Jerome Valcke" (in Portuguese). YouTube. 8 November 2011. ^ "Ricardo Teixeira é convocado por Romário para esclarecer denúncia de corrupção" (in Portuguese). Mtv.uol.com. 9 November 2011. ^ "Campos confirma Romário para Senado no Rio". Brasil 24/7. ^ "Romário sai do PSB e diz que presidirá o Podemos no Rio de Janeiro". Gazeta. 29 June 2017. Retrieved 31 December 2017. ^ "Brazil ex-football star Romario seeks Rio state governor post". BBC News. 18 March 2018. ^ "Romário; european career stats". Football Database.eu. Retrieved 11 July 2012. ^ "Romario". National Football Teams. Benjamin Strack-Zimmerman. Retrieved 2 June 2014. ^ Marcelo Leme de Arruda (24 July 2014). "World All-Time Teams". RSSSF. Retrieved 2 August 2017. ^ "The greatest team of all-time Marca". Sport.net. Retrieved 16 December 2015. ^ "Salón de la Fama del Fútbol, Pachuca – Generación 2014". Salón de la Fama del Futbol A.C. Archived from the original on 22 December 2015. Retrieved 16 December 2015. Wikimedia Commons has media related to Romário. Adelaide United Football Club is a professional soccer club based in Adelaide, South Australia, Australia. The club participates in the A-League under licence from Football Federation Australia, Adelaide Uniteds home ground is Hindmarsh Stadium. Adelaide United were premiers in the inaugural 2005–06 A-League season, finishing 7 points clear of the rest of the competition and they were Premiers again in 2015/16 finishing just one point ahead of second place Western Sydney. The Reds made the Grand Finals of the 2006–07, 2008–09 and 2015–16 seasons, Adelaide are the current A-League champions, having won their first Grand Final on 1 May 2016 against Western Sydney. Adelaide United holds the record for the largest win in an A-League game, Adelaide defeated North Queensland Fury 8–1 at Hindmarsh Stadium on 21 January 2011. It was the first time – and, to date, in 2014, Adelaide United were the winners of the first FFA Cup, beating Perth Glory 1–0 in the final. In 2016 Adelaide United won their first ever A-League Grand Final, beating the Western Sydney 3-1 with goals from Bruce Kamau, Isaías and Pablo Sanchez. In August 2003, Adelaide City withdrew from the National Soccer League, west Adelaide had previously withdrawn from the NSL in 1999. On 17 October 2003, Adelaide United won its first NSL match, after an impressive home-and-away season, including a seven-match unbeaten streak during November and December 2003, Adelaide United reached the NSL preliminary final, losing to Perth Glory. United began preparation earlier than most of the clubs and had announced two thirds of the 20 man squad before February 2005. The club focused on bringing several Adelaide born players back to South Australia, such as Angelo Costanzo, Travis Dodd and Lucas Pantelis, shengqing Qu was signed from Chinese club Shanghai Shenhua as the clubs marquee signing in March 2005. Aurelio Vidmar announced his retirement before the A-League had even started and he was replaced before the fifth round by striker Fernando from Brazil, a former player of the year in the old NSL. By moving to Adelaide, he was reunited with former coach John Kosmina who introduced him to Australian audiences at the Brisbane Strikers. The club is based in the Laranjeiras neighbourhood of Rio de Janeiro. Fluminense play their games at the Estádio Giulite Coutinho, which currently holds up to 13,544 spectators. Cox was elected as the clubs first president, Fluminense has been state champions on 31 occasions, second only to Flamengo with 33. The team has national champions four times, most recently in 2012. Fluminense is a demonym for people who reside in the State of Rio de Janeiro, although football is the clubs original endeavor, the club is today an umbrella organization for several teams in more than 16 different sport activities. Fluminenses home kit is dark red-and-green vertical striped shirts, with white shorts, accompanied by white socks, Fluminense holds many long-standing rivalries, most notably against Flamengo, as well as with Botafogo and Vasco da Gama. 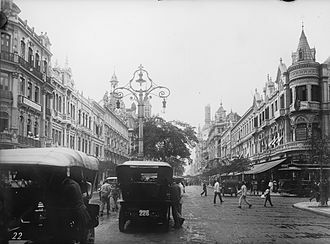 It has contributed the fifth-most players to Brazils national football team, Fluminense Football Club was founded on July 21,1902 in Rio de Janeiro by Oscar Cox, a Brazilian of English heritage, in the aristocratic neighborhood of Laranjeiras. 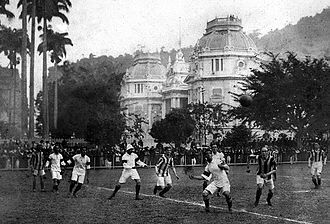 Fluminense was formed by sons of the elite who had come into contact with football while studying in Europe, the first official match was played against now defunct Rio FC, and Fluminense won 8–0. 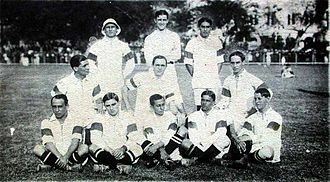 The clubs first title came in 1906, when Fluminense won the Campeonato Carioca, in 1911, disagreement between Fluminense players led to the formation of Flamengos football team. The so-called Fla-Flu derby is considered one of the biggest in the history of Brazilian football, three years later, in Fluminenses stadium, the Brazilian national football team debuted, against touring English club Exeter City. It was there that won their first title, in 1919. By 1924, Fluminense had 4,000 members, a stadium for 25,000 people, in an unfortunate event in 1914, Carlos Alberto, a mulatto playing for Fluminense, decided to cover himself in face powder to disguise the color of his skin. This ultimately led to one of the nicknames, pó de arroz. The following years saw an expansion of the hegemony in Rio. 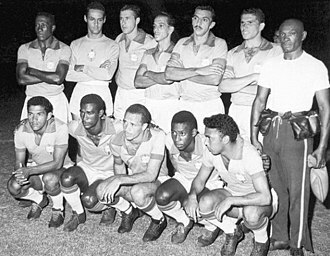 Fluminense would remain unsurpassed in terms of state championships until 2009, international acclaim came in 1949 with the awarding of the Olympic Cup, and was further fostered in 1952 with Fluminenses first intercontinental honor, the Copa Rio. The competition has been dominated by Mexico and the United States, one of which has won the tournament every year since 2002. The Gold Cup is held two years. Beginning in 2015, the winners of two successive Gold Cups will face other in a playoff to determine the CONCACAF entrant to the next Confederations Cup. If the same team has won the Gold Cup on both relevant occasions, there will be no playoff and that team will qualify for the Confederations Cup. 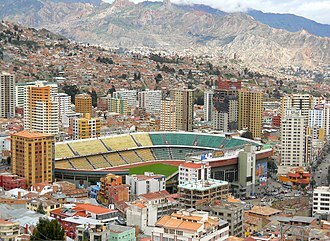 Before the Confederation of North, Central American and Caribbean Association Football being formed in 1961, association football in the region was divided into smaller, regional divisions. The two main bodies consisted of the Confederación Centroamericana y del Caribe de Fútbol founded in 1938, each confederation held its own competition, the CCCF Championship and the NAFC Championship. The CCCF held 10 championships from 1941–1961, Costa Rica winning seven, CONCACAF was founded in 1961 through the merging of NAFC and CCCF which resulted in a single championship being held for the continent. The first CONCACAF tournament was held in 1963 in El Salvador with Costa Rica becoming the first champion, the CONCACAF Campeonato de Naciones, as it was called, was held every two years from 1963–1973. The second tournament was held in Guatemala in 1965 when Mexico defeated the host country in the final of a six-team tournament, the 1967 competition was held in Honduras and saw a third champion crowned, Guatemala. In 1973, the tournament kept the format of six teams playing a single round-robin. In Port-au-Prince, the host country pulled off an upset by winning the tournament. With the Campeonato de Naciones doubling as the final World Cup qualifying tournament, in each case the host country was crowned champion and earned a spot in the World Cup. In 1985 and 1989, the winner of the World Cup qualifying tournament was again crowned Confederation champion and Costa Rica were named champions in 1985 and 1989, receiving a trophy. 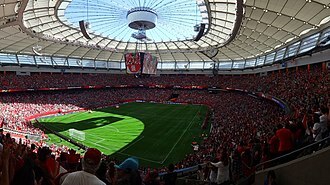 In 1990, CONCACAF brought the CONCACAF Championship to an end and created the CONCACAF Gold Cup, the host country was the inaugural champion of the eight-team tournament. Al Sadd celebrate after winning 2011 AFC Champions League. America F.C. team in 1929. Ronaldo, the youngest recipient of the award aged 20, won it three times. Marta, the youngest recipient of the award aged 20, won it five times. Adelaide United playing against Jeonbuk Hyundai Motors in the AFC Champions League in 2010. Five years after the award, winners Maradona and Pelé exchanged national team shirts.